The rumors are true. Last week, I took my test to become a Tsunami Ranger. I passed and was awarded the rank of Lieutenant. Details of my test will be shared on the Tsunami Ranger blog in October. For those who are not familiar with the Tsunami Rangers, check out this description. I am honored to be included in this tribe and look forward to many fun adventures with the Rangers. 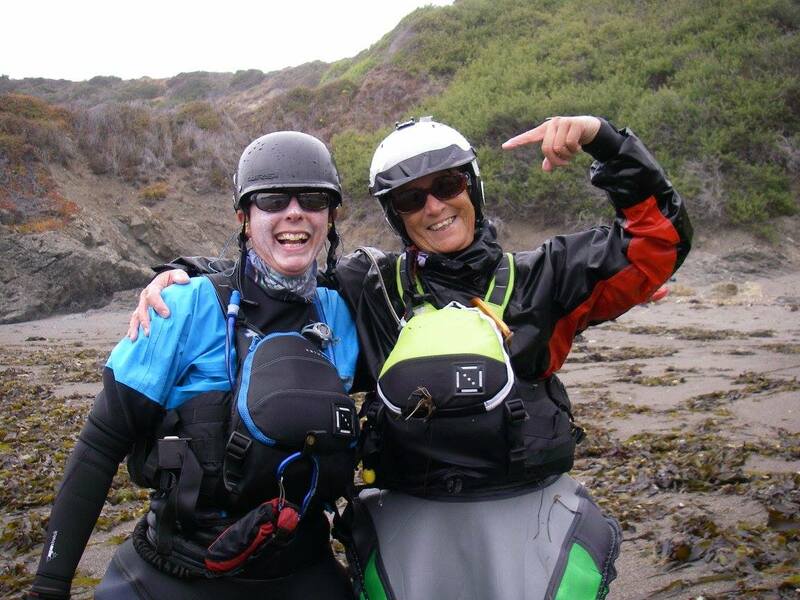 A special thanks to Tsunami Ranger and fellow Woman on Water - Deb Volturno for her friendship, encouragement, and mentorship. I wish I had my camera today. However, I don't know if photos or video could possibly capture the expressions of pure bliss on my younglings' faces this afternoon as they floated in their kayaks for the first time. 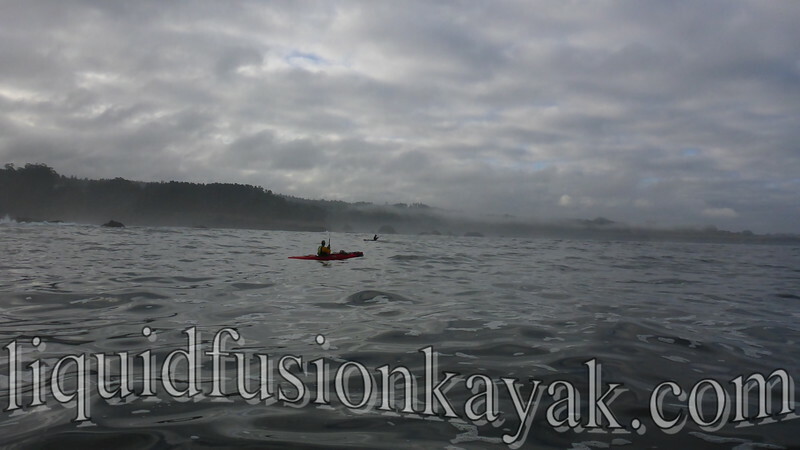 Most days in the summer, I share first kayaking experiences with adults and kids from all walks of life. Their facial expressions and comments are priceless. Many come with apprehension and leave trying to figure out how soon they can get on the water again. Water is my drug and kayaking is the delivery device. This week has been extra special. I had a couple return for a Sunset Bird Paddle. They did one several years ago with me and loved it. During the paddle, they became fascinated with birds. This week they returned to share the magic as fully fledged birders. It was really special for them to share with me their journey of discovering birds and hearing that kayaking with me was a catalyst for their new passion. I loved hearing them call out many different species on our trip. Of course they enjoyed expanding their bird IQ as I shared several new species with them. Today was special as I had a grandmother send her 3 kiddos out for a learn to kayak lesson with me. Two years ago, her husband got the idea of kayaking and bought a couple of kayaks for them. They came to me for a lesson. She was quite apprehensive but once she was floating she became hooked. 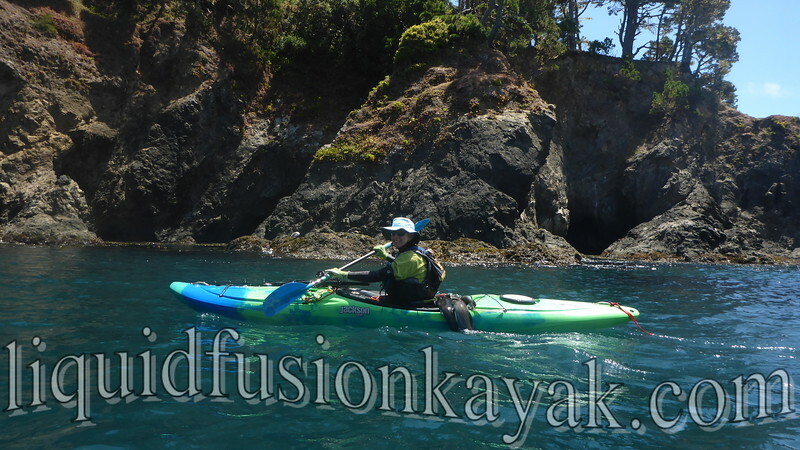 Now, she and her husband take their kayaks everywhere with them and have enjoyed paddling many beautiful places. Their favorites being remote lakes in the Sierras. 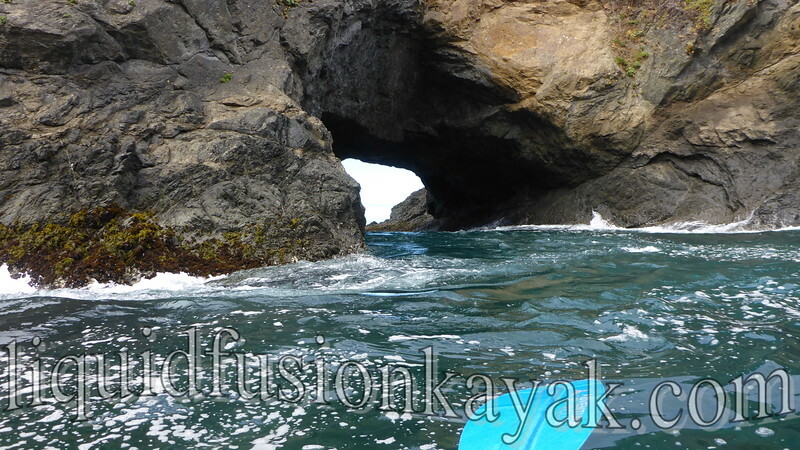 They are looking forward to sharing kayaking adventures with their grandchildren. Today was day one. Grandmom glowed as her grandchildren paddled and played. 3 more hooked. I have to admit that I have gotten hooked on kayak fishing. Well actually my plan isn't to get hooked but to do the hooking. Ling cod hooked on my line. This summer, the ocean has been really rough so we haven't had many good fishing days. But when we have made it out, we have caught enough fish for dinner and some to share with friends and neighbors. 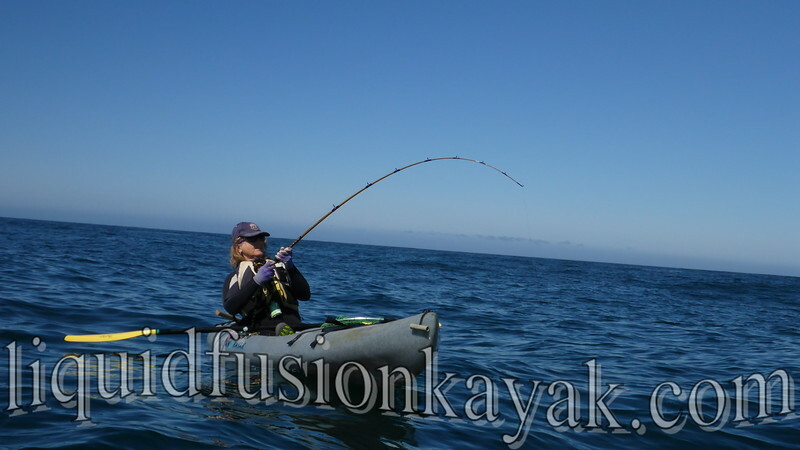 For us kayak fishing is a team sport. Jeff, Gail, and I head out together and keep an eye one another. Some of it is the excitement of seeing someone land a nice sized fish, some of it is keeping score, and some of it is out of necessity to help out if needed. More than once, we have hooked a "big one" who has attempted to drag us into the rocks. It sure is nice to have a buddy handy to help out with a quick tow. Gail with a big one on the line. 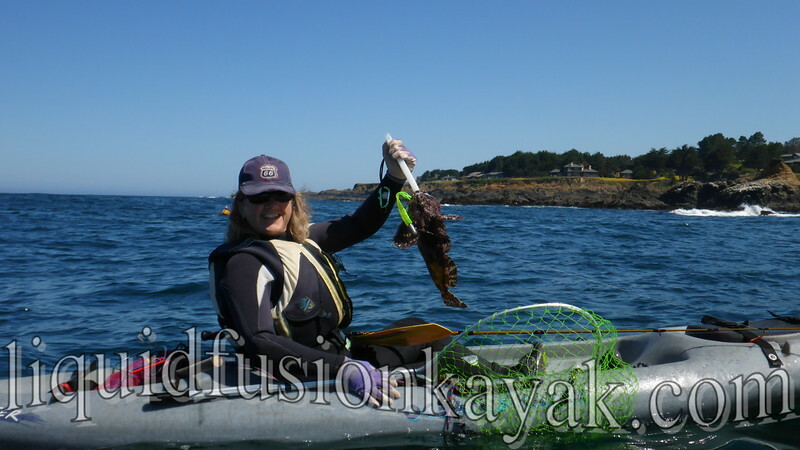 Most of our kayak fishing is at home on the Mendocino Coast fishing for bottom fish. 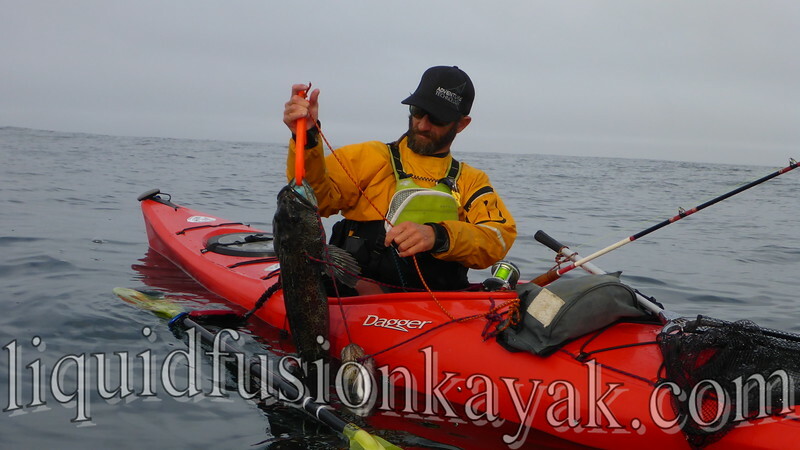 On the Mendocino Coast, these are types of rock cod that live among the rocks on the bottom of the ocean. We typically are in 20 to 80 feet of water and primarily use jigs. 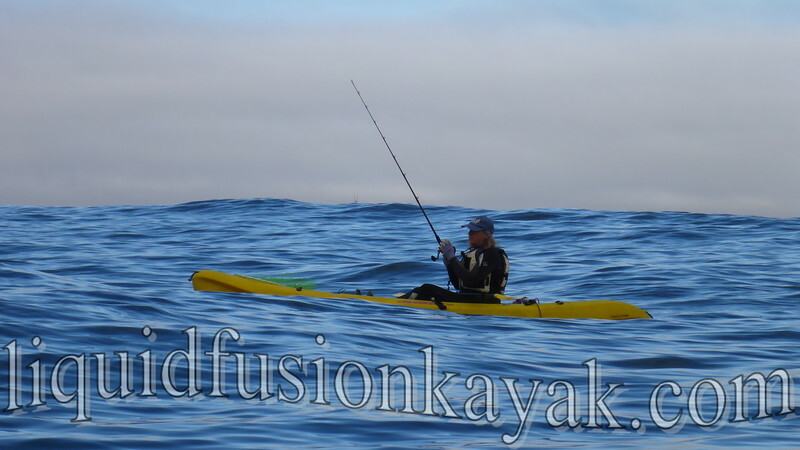 Kayak fishing on the Mendocino Coast. The ling cod are usually the largest of our catch. They have to be at least 22 inches long to keep. 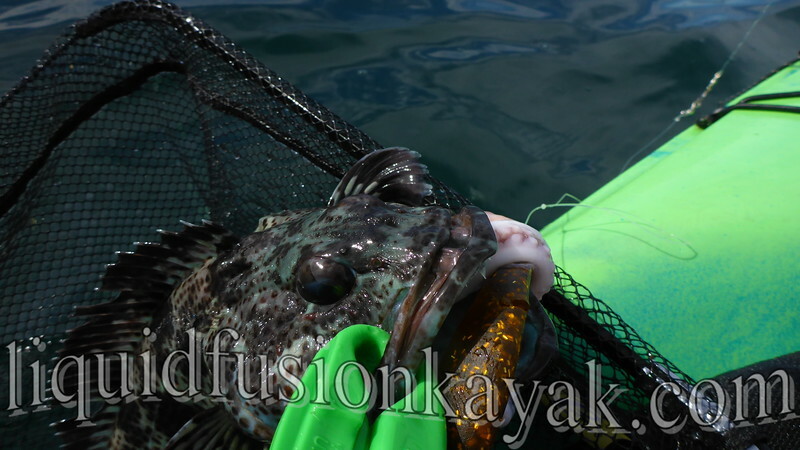 Ling cod have large heads with mouths full of sharp teeth and spotted bodies. Often they are a blueish green and have blue meat when you fillet them. Jeff about to put a ling cod on his stringer. Other types that we catch include cabezon, vermilion, black cod, blue cod, sea trout, and china rock fish. On a good day, our stringers can be quite colorful (and hefty). I try to keep my set up as simple as possible but it still seems to be a bunch of stuff. My pole is one that I found floating in the ocean several years ago. Jeff put a new tip on it and a friend gave me her father's old reel. My pole is short and stiff - about 6 feet long. Regulations require us to have a net. I find it very handing for landing feisty ling cod. Some fish identification charts, a beat-good stick, fish grips, a stringer, and needle nose pliers round out my kit. 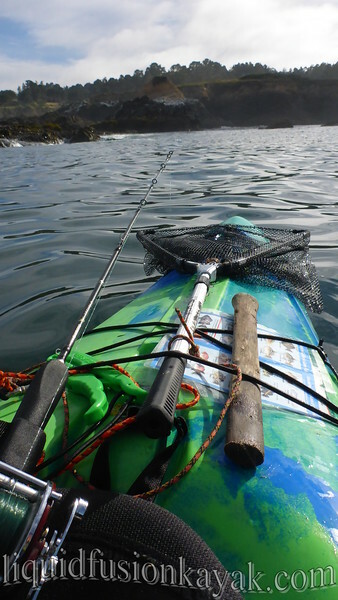 My set up for bottom fishing from my kayak. I have to admit that I am more into catching than fishing. There are times when the bite is slow. I am not good at sitting and bobbing in the ocean so I will sometimes wander off in search of other adventures. This is where I put my rock gardening skills to use swooshing around the rocks, exploring sea caves, and often looking for abalone. I guess it isn't the fishing that has me hooked but the catching.